John Lane has scaled a granite dome in the Suriname rain forest and waded past cottonmouths in the heart of a Florida cypress swamp. He has shadowed crocodiles in a Yuca and mangrove thicket and paddled the rapids of North Carolina’s Tuckaseegee River in search of a drowned kayaker. 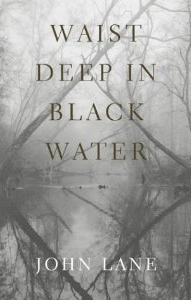 Waist Deep in Black Water offers a collection of Lane’s writings, which range in topic from wilderness exploration, to conservation, to family history in Spartanburg, South Carolina.